Atkins Grapefruit Diet, Can the Atkins and Grapefruit Diet Plan co-exist? Consult your doctor before starting the Atkins Grapefruit diet or any other weight loss program. If you are reading about the Atkins-Grapefruit diet you are probably wondering how these two diets can go together. And you are right, they cannot! For any one who understands the principals of the high protein low carbohydrate diet such as Atkins, and the Grapefruit diet plan which is based on the consumption of large quantities of grapefruits full of carbs, combining these two diets is nonsense. The Grapefruit Diet Plan is a very low calorie diet which is based on consumption of grapefruit or drinking its juice with every meal. Grapefruit is well known as a fat burning food and one of the foods that increase metabolism as it has a low glycemic index which helps your body’s metabolism burn fat. The Atkins Diet rules are about limiting carbs – the Atkins diet induction menu is based on consumption of only 20 g of carbs a day. There are 8.41 grams of carbohydrates per 100 grams (or 3.5 oz) in a white grapefruit. There are 21 grams of carbs in an average 250 grams grapefruit. There is no mention of this diet on the official Atkins diet site and the origin of the Atkins-grapefruit diet is unknown. 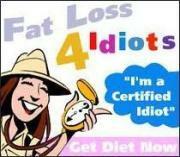 This is the diet that is cashing in on the popularity of the Atkins protein diet and Grapefruit diet. What is missing? Fruit! Fruit or fruit juice is not allowed!…not even a grapefruit! Bottom line: A grapefruit tastes good, the calories in grapefruit are low; it can be incorporated in any calorie restriction diet.But the Atkins diet does not count calories it counts carbs!